Could posture or balance issues be related to crooked teeth, or malocclusion? Studies are proving this very theory to be true. Researchers are learning that when your bite is properly aligned, balance and postural control does improve. What does this mean for your oral health? Your cosmetic dentist has answers. On top of these many oral health issues, now it seems that malocclusion may also be affecting your balance and posture. Orthodontic treatment is probably the leading treatment for malocclusion, as braces are designed to not only straighten teeth, but also correct your bite. Brackets and wires are placed on your teeth and adjusted periodically to gradually move your teeth into position over time. Depending on the severity of your case, your cosmetic dentist may have other options available to you such as porcelain crowns or veneers. Dental veneers can restore slight misalignment and bite issues by placing thin layers of porcelain over the teeth to change their size or shape. What is the Best Treatment for My Needs? The first place to start if you’re suffering from malocclusion is a consultation with your cosmetic dentist. 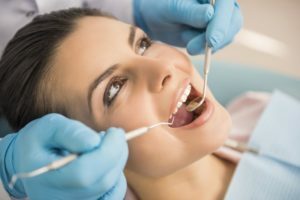 With some photos, x-rays, and a thorough examination, your dentist can determine the best treatment for your needs and get you back on the path to comfort and wellness again. As we’re now understanding that malocclusion affects so much more than just your oral health, it’s time to learn more about treatment. By treating this condition, you’ll be reclaiming your oral health and your confidence! Dr. Nelson Howard has been caring for patients in Southern California for over 30 years. After thousands of hours of extensive advanced training, his specialty is enhancing smiles through cosmetic dentistry. If you’d like to reach Dr. Howard to learn more about how he can help you, visit our website, or call 760-599-6559.